Ben Miller, senior director of the Center for American Progress, reminds me of a fuddy duddy who falls asleep at a wild party in a friend's apartment. Just as the party starts to get interesting, he nods off on a pile of party goers' coats. Meanwhile, the party spins out of control: fights break out, spontaneous trysts are consummated in closets and spare bedrooms, furniture is broken, lamps are shattered. When the fuddy duddy awakes, the apartment is in shambles and the police are cuffing drunken revelers and hauling them off to jail. "Did I miss something? ", the fuddy duddy asks as he rubs the sleep from his eyes. Miller wrote an op ed essay for the New York Times on August 8 titled "The Student Debt Problem is Worse Than We Imagined?" Ya think? Where the hell have you been, Mr. Miller? You're like the guy who went out to buy popcorn just before the steamy scene in Last Tango in Paris. So here is what Mr. Miller said in his op essay: student loan default rates are much higher than the Department of Education reports. I hate to break it to you, Ben; but people have known that for years. Everybody knows the for-profit colleges have been hiding their default rates by pushing their former students into deferment programs to disguise the fact the suckers weren't paying on their loans. In fact, the problem is probably worse that Miller described it in the Times. 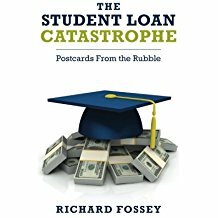 Looney and Yannelis reported in 2015 that the five-year default rate for the 2009 cohort of student borrowers was 28 percent (Table 8). And the five year default rate for the 2009 cohort of for-profit students was 47 percent--almost double what Miller reported for the 2012 cohort--only 25 percent. Admittedly, Miller is looking at the 2012 cohort of debtors, while Looney and Yannelis analyzed the 2009 cohort. But surely no on believes the student-loan problem got better in recent years. Everyone knows the crisis is getting worse. Miller's analysis briefly mentions the federal push to put student borrowers in deferment plans, but that problem is more serious than Miller intimates. In fact 6 million student borrowers are in income-based repayment plans (IBRPs) and are making payments so small their loan balances are getting larger and larger with each passing month due to accruing interest. For all practical purposes, the IBRP participants are also in default. But Mr. Miller can be forgiven for waking up late to smell the coffee. Perhaps Miller, like the New York Times that published his essay, was so distracted by Stormy Daniels and the Russians that he was late to notice that American higher education is going down the toilet. And surely, we can all agree that the person pressing down on the toilet-bowl handle is Betsy DeVos. What happened while Center for American Progress was snoozing? Ben Miller. The Student Debt Problem is Worse Than We Imagined. New York Times, August 8, 2018.